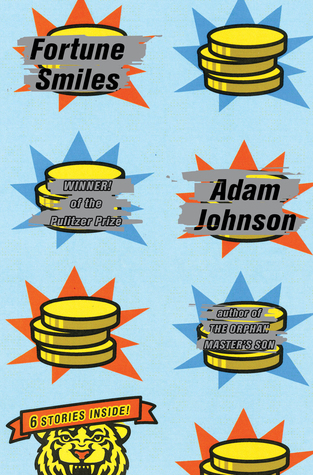 This entry was posted on Tuesday, August 18, 2015 and is filed under Adam Johnson,Book Review,Fortune Smiles,New Fiction,Pulitzer Prize,Short Story,The Orphan Master's Son. You can follow any responses to this entry through the RSS 2.0. You can leave a response. I don't read collections of short stories too often but I do try to slip one in there from time to time. It seems like this one has a wide array of short stories and that they all have very deep problems stemming through them. I will have to check this one out some more. Even if you're not a fan of short stories, this one is worth a read purely on Johnson's writing. He didn't win that Pulitzer for nothing!